A family entrepreneurship and legacy book that beautifully captures the story of entrepreneurial vision, value-based entrepreneurship, and perseverance that defines the Erb Group of Companies. As a family-owned and operated business, we had taken a few attempts at formalizing our history without success until we started working with HBS. 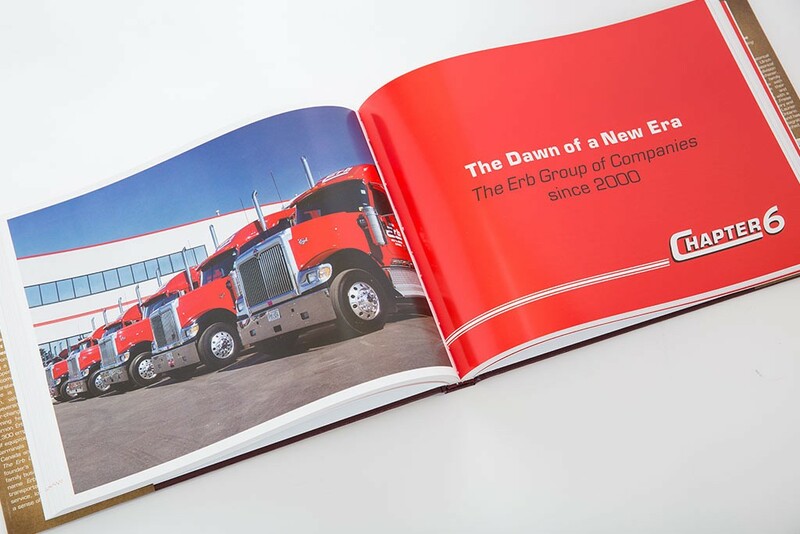 Dr. Frisse and the HBS team have an amazing ability to listen, interview and sort through pictures and documents and transform all these sources into a beautifully designed book that portrays the history, values and culture of our company so well. The process is not intrusive and everything came together in about 12 months. If you are considering documenting your history in a book, I urge you to not delay the decision. It will not be easier in the future. This book will be treasured by our family forever. 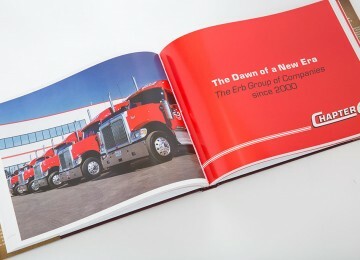 As a young boy Vernon Erb, founder and Chairman of the Erb Group of Companies, was easily distracted by the heavy trucks rumbling past his classroom window in rural Ontario on their way to the nearby gravel pit. It was here that his life-long dream of being a trucker was born. “Oh, just the roar of the motors and exhaust was music to my ears. 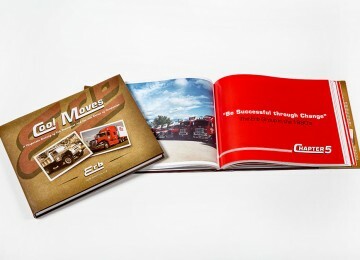 I just wanted to see those trucks,” he remembered when interviewed by Dr. Frisse over seven decades later. Today, that same foundational dream continues to inspire the over 1,300 employees, customers and the wider Erb community. For Vernon Erb, capturing his life story as an entrepreneur and the history of the company he founded was never about himself. It was a way for him to say ‘thank you’ to his valued long-time employees, customers and business partners. In addition, it was a way to recognize his strong roots in the rural Mennonite community of Ontario. At 250 pages, Cool Moves is larger than our other books. Recognizing Vernon’s deep appreciation of people and relationships, we wrote every staff member with 20 or more years of service into the text, including the late Ernie Fink, a valued staff member who had tragically passed away decades ago and was remembered with a story by most long-term staff members we interviewed. To Vernon’s great surprise, we incorporated into the book a historic photograph of the old country school house where his life-long dream was born. Our researchers had come across the image while digging through a local archive searching for sources to tell the story in its broader community context. 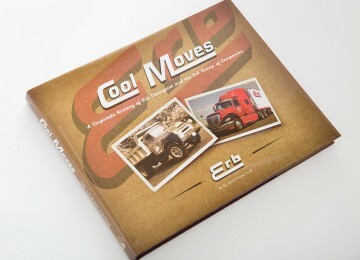 The title of the eventual book, Cool Moves, is an adaptation of the company’s tag line, devised many years ago by Viola Erb, Vernon’s wife and partner in the business. 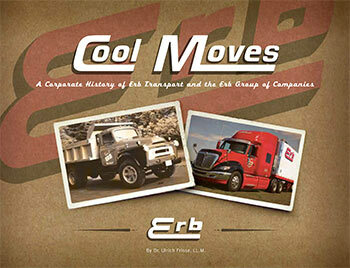 As intended by the Erb family, each employee received a personal copy of the book. 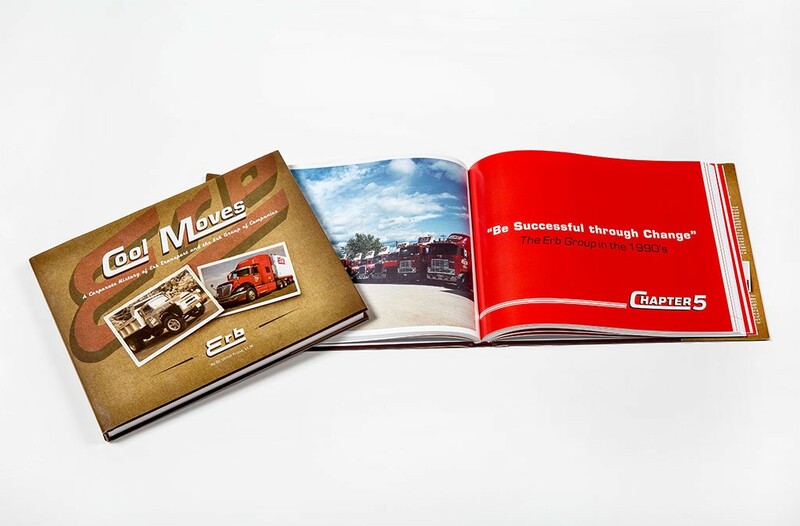 Today, Cool Moves can be found on coffee tables in employees’ homes and has travelled widely in the trucking industry and beyond, making for a great conversation piece with friends, business partners, customers and the community.